The pros of reverse mortgage are abundant. 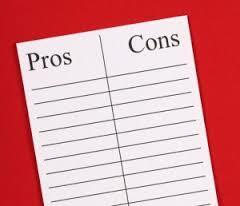 Here we intend to highlight some of the more prominent reverse mortgage pros & cons. However, the intent here is not to focus on the reverse mortgage cons. The FHA insured reverse mortgage loan is by far one of my favorite loan programs available. It is a unique home loan that allows homeowners that are aged 62 and older to convert their equity into cash. It can be done for a home that is free and clear. You can also do a reverse mortgage on a home that currently has a loan on it. In this case, you’d have to pay off the existing loan with the proceeds of the reverse mortgage. Any left over money can be disbursed to the borrower or left in a line of credit for later use. The best part about a reverse mortgage is the amazing freedom you have. You can make monthly payments if you want, but there NO monthly payment due. To clarify, there are no monthly payment due for as long as you live or for as long as you live in your home. The homeowner (aka borrower) still owns they home, so they are still expected to maintain property tax payments. They are also responsible for having homeowner’s insurance. After all, this is what protects the asset that allows the home them to take this type of loan. There is not a required monthly payment. That’s right, there are no monthly mortgage payments due for as long as you live or for as long as you reside in your home. You are required to pay taxes, insurance, and any other applicable housing fees such as an HOA. You can still leave the home to your kids. Since you still own the home and it’s just a loan on the home, you can leave the home to the heir of your choice. They will get 100% of any remaining equity when you pass on and leave the home to your heirs. The money you get is tax free. Any monies you receive from a reverse loan is not considered income by the government. It’s loan proceeds. Hence, you don’t pay income tax. The line of credit you haven’t yet tapped has a growth rate attached to it. It is just like earning interest on a saving account. However, it’s not income, so you don’t get taxed AND the growth rate is markedly higher than any savings account I’ve seen in the last decade. You can do whatever you like with the money. FHA does not place any restrictions on what you can do with the money. You can do whatever you like, no matter how smart (or not so smart) your financial decision might be. You have a lot of choices in terms of how you get the money. One of the great pros of reverse mortgage is that you can receive a payment every month for the rest of your life. You can also take it out in a lump sum. It’s also possible to just keep a standby line of credit and use it when you need it. You can get payments sent to you for a prescribed term (i.e. for 5 year or 10 years etc.). The money can be allocated to you in a combination of ways. It is the most flexible loan program ever! 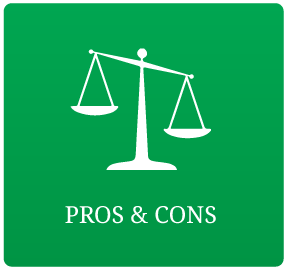 Here, we’re mainly focused on the pros of reverse mortgage, but let’s lightly touch on the cons. May reduce the money available to your kids after you pass away. Can have an impact on food stamps or cash aid, etc. (but now Social Security and Medicare). This is not always true, but the fees can sometimes be higher than a regular home loan. The reverse mortgage is awesome. It gives homeowners that want to age in place total financial freedom. However, make sure to not only think about the Pros of Reverse Mortgage, but also consider the Reverse Mortgage Drawbacks.